If you are able to stay home on a "snow day" then you might be enjoying today. Unfortunately in Georgia, we do not have the infrastructure to salt and clear roads and it can be very dangerous to drive in. Here are some helpful local resources for keeping up with travel conditions. Remember the best way to stay safe is to avoid driving in hazardous conditions! The Car Care Council suggests motorists have their vehicles winterized to best ensure that you can depend on it. Please check out these steps or give us a call and let Team Ryan Automotive make sure your car or truck is ready for this winter! Clean, flush and put new antifreeze in the cooling system. The owner’s manual will have usage specifications but the mixture of antifreeze (coolant) and water inside your vehicle’s radiator is typically 50:50. As a reminder, don’t make the mistake of adding 100 percent antifreeze, as full-strength antifreeze actually has a lower freeze point than when mixed with water. In the process, check containers, belts, hoses, the pressure caps and thermostat. Check heaters, defrosters and wipers to ensure they are working properly. Wiper blades that are cracked or torn, or that chatter, streak and don’t properly clean your windshield should be replaced. Some manufacturers offer special winter blades that have a rubber boot covering the arm assembly to keep snow and ice out. When changing the blades, have the windshield wiper system nozzles cleaned and adjusted if necessary, and check the windshield washer reservoir in case it needs fluid. Check the battery and charging system for optimum performance. Cold weather is hard on batteries and unfortunately, batteries don’t always give warning signs before they fail completely. If your vehicle’s battery is three years old or more, it’s wise to replace it. When choosing a replacement, make sure the new one has adequate capacity for your exact make and model. Check the tire tread depth and tire pressure. Tires lose pressure when temperatures drop. If snow and ice are a problem in your area, consider special tires designed to grip slick roads. The Car Care Council recommends changing your vehicle’s engine oil every 3,000 to 5,000 miles depending on your vehicle make and model, how you drive and the conditions in which you drive. Dirty oil can spell trouble in winter. The council recommends changing to a low-viscosity oil in winter as it will flow more easily between moving parts when cold. Have your automotive service technician check the fuel, air and transmission filters at the same time. Always consult your vehicle’s owner’s manual. Schedule a tune-up as winter magnifies existing problems, such as pings, hard starts, sluggish performance or rough idling. 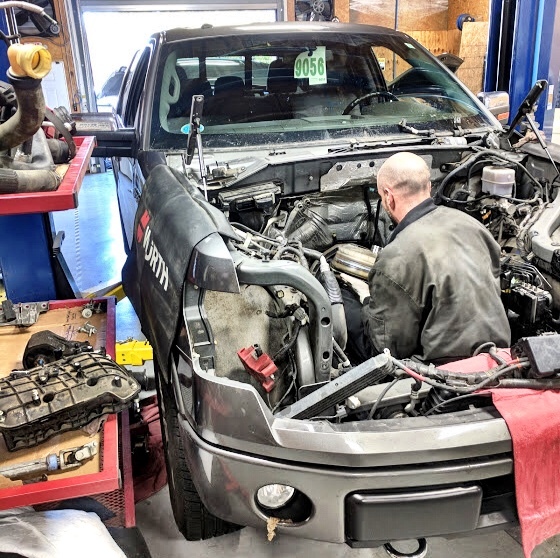 A routine tune-up will restore a vehicle back to its normal operating state, and contribute to the overall efficiency of the engine and emissions system. Check the brakes. This braking system is the vehicle’s most important safety item and brakes are a normal wear item that sooner or later will need to be replaced. Check the exhaust system for carbon monoxide leaks, which can be especially dangerous during cold weather driving when windows are closed. Regular exhaust system checks are critical to maintain a safe vehicle. The council also reminds drivers to keep the gas tank half full at all times to decrease the chances of moisture forming in the gas lines and possibly freezing. Drivers should also check the tire pressure of the spare and pack an emergency kit with the following items: ice scraper and snow brush, jumper cables, flashlight, flares, blanket, extra clothes, candles/matches, bottled water, dry food snacks and needed medication. The Car Care Council is the source of information for the “Be Car Care Aware” consumer education campaign promoting the benefits of regular vehicle care, maintenance and repair to consumers. For more information, visit www.carcare.org. We can help make sure that your car is in good working order in these cold conditions! Give us a call or request an appointment online today! 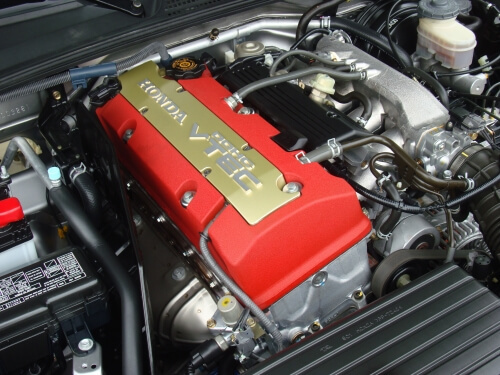 Engine diagnostics takes special tools, skill and diagnostic strategy. There is so much that can go wrong to cause car problems. Weather, rust, corrosion and even critters like rodents can cause a whole host of drive ability problems that no computer will detect. As temperatures are drop your car may be susceptible to small rodents trying to stay warm – possibly in your engine compartment! Your car’s engine can be an inviting place because of warmth, smells, and/or the colorful wiring. Small rodents like mice, squirrels, rats and raccoons are looking for a good nesting place! If they set up housekeeping, rodents will make a mess and can create havoc with your vehicle’s electrical system. Cars that are not driven frequently or are parked outside can be a particular target, but even cars that are driven frequently can have problems. In particular, food or crumbs in the passenger compartment will attract mice. Be proactive… throw away trash, and vacuum up crumbs in your car. Also, be sure your dog or cat food and bird seed is kept in closed containers in your garage, so that you are not inviting rodents inside. That’s when we have to rely on our many years of training and experience to diagnose the problem. 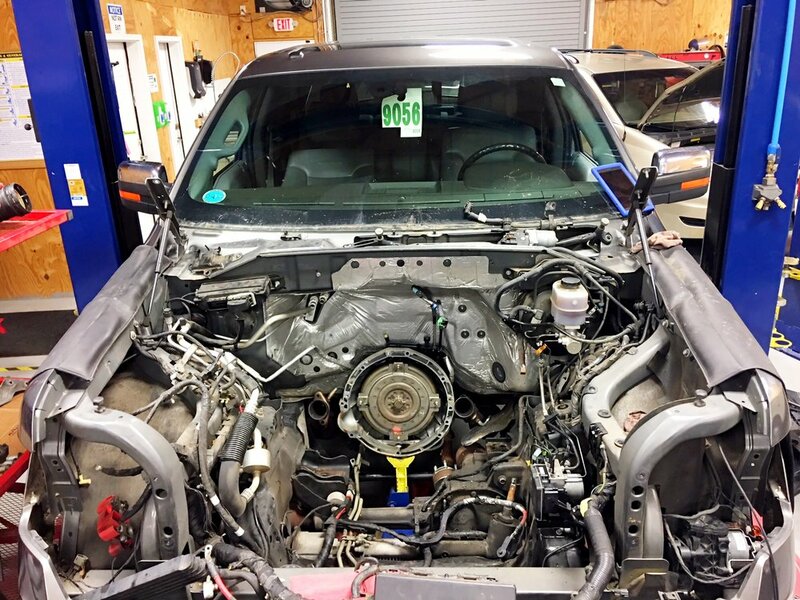 Good old fashioned detective work is still a major part of how we perform many auto repairs. Rodent Damage is very common in the Buford area, especially for vehicles that are left to sit for long periods of time without being moved. We’ve seen mice, squirrels, chipmunks and even ground hogs set up home in your engine of passenger compartment looking for a cozy place out of the weather and securely away from predators. One sure sign of a rodent or mouse infestation is missing or chewed insulation from the bottom of your hood. Rodents love nice soft material to build a nest with, and the insulation from under your hood and dashboard are prime bedding for them. Rodents are busy and very destructive as they have to constantly chew on things to keep their teeth from getting too long. Your cars wiring and electrical system are prime targets for these vandals and can cause thousands of dollars of damage if left unchecked. To deter rodents, you can also wedge moth balls or dryer softener sheets around the engine compartment. Or you could use one of the small ultrasonic devices that are available for keeping rodents at bay. One more option is a product called “Rodent Tape” that can be placed around various electrical harnesses in your engine bay and will repel the varmints with it’s “peppery” taste. 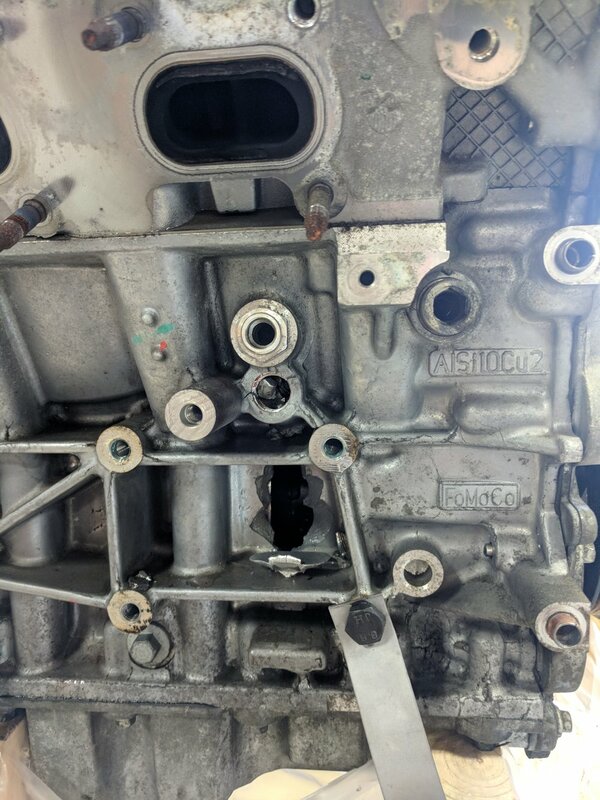 Another concern we have about rodent infestation in your vehicle is the fact that they love to build their nests in your air filter box that starve your engine of air, not allowing it to breathe. And we also find their nests in fresh air vents and cabin air filter boxes that feed you and your families air that you breathe. The problem with this is mice tend to use their nesting areas as their toilets, unknowingly exposing you to rodent feces and urine when you turn on your heater or air conditioner. If you find any of these signs, address it quickly by bringing your vehicle in for a check up to make sure they haven’t caused you any damage. It’s always cheaper to ward off a problem than to have to diagnose and then repair one later. We can also advise you as to how you can prevent future rodent damage as well. 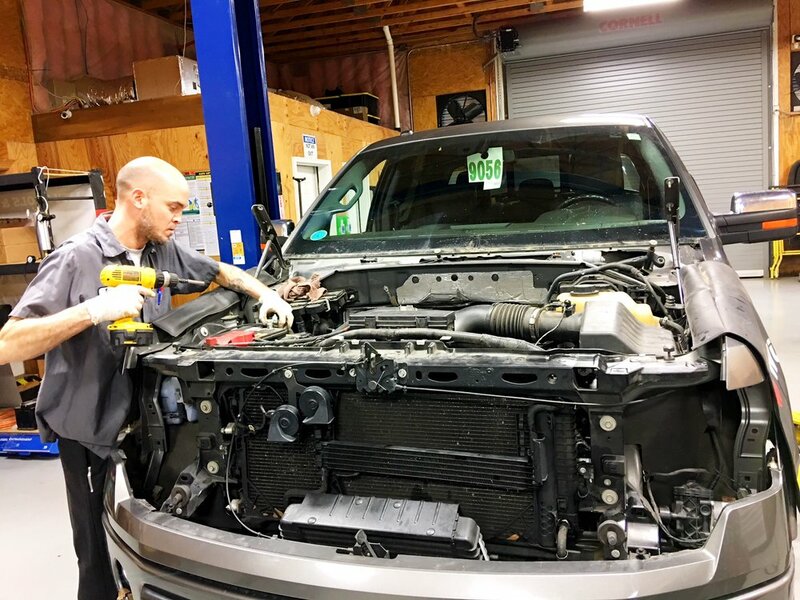 Trust our ASE Certified Mechanics with decades of experience to diagnoseor help you ward off these strange engine performance and check engine light problems in Buford GA.